JBL Studio 180 review | What Hi-Fi? No one can say the JBL Studio 180 speakers play it safe where design is concerned. Across the front of these imposing floorstanders sits a large, stylised bow-tie, sitting between jagged speaker grilles. It’s an attractive design, if you have bolder tastes. There’s no faulting their robust feeling either, with solid MDF enclosures concealed under black or walnut vinyl finishes. We’d keep the grilles, on, though. Behind them it’s a little plasticky and there are quite a few fixing holes, along with a somewhat Cubist approach to driver arrangement. At ear-level you’ll find a 25mm dome tweeter with waveguides, intended to eliminate unwanted resonances, as well as a 10cm midrange driver. For the low-end there’s a 25cm bass driver, along with a large reflex port at the back. Set-up is a little fiddly, with spikes that screw into the rubber feet at the bottom. There’s no way to tell when you have to stop turning the spikes, and they’re difficult to readjust in situ, so we found ourselves flipping the speakers over a few times before we managed to achieve a satisfying level of stability. Once that’s out of the way, biwire the speakers for a little more power and clarity. And keep them away from walls: you want to keep the bass in check. The JBL Studio 180s have a prominent low-end, particularly in the upper-bass department, which is clearly demonstrated during REM’s Losing My Religion, where the strumming of the guitar is relegated to the back seat. That being said, at least the bass is agile and authoritative; it’s deep and gives a real sense of bounce to the likes of Eminem’s The Real Slim Shady. Move your focus up the frequency range and you’ll hear a clear midrange, with direct-sounding vocals displaying plenty of texture. The treble, however, can be a little unsubtle and bright, particularly when that bass takes the spotlight. That’s another reason to keep the speaker grilles on: it softens this to some extent. Elsewhere, there are strong dynamics and a decent sense of timing. But the Studio 180s’ real strength is their ability to convey enthusiasm: where the Q Acoustics 2050i speakers and the Monitor Audio Bronze BX5s tend to smooth-off the edges, the JBLs just charge ahead. They’re not very refined but they make up for that with an energetic, upbeat attitude. They can go plenty loud, too. Combined with that enthusiasm, these speakers are good candidates if you want to bring the house down at a party. The problem here is unpredictability. The JBL Studio 180 speakers have a somewhat fickle nature, performing with varying levels of competence depending on the kind of music we threw at them. We went for our usual variety of test tracks, and found ourselves thrilled and disappointed in equal measure. Play Buena Vista Social Club’s Chan Chan and there’s a lack of cohesion. The voices and instruments don’t feel neatly organised, as if each element is fighting for your attention. But switch over to a bit of Nina Simone, and the JBLs get on very well with I Wish I Knew. The contralto vocals float over the bouncy piano riff, easily conveying the song’s upbeat nature. 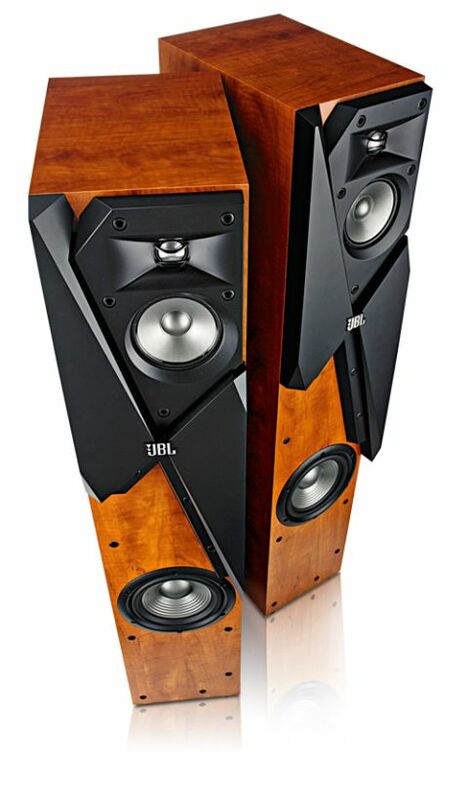 There are many things we like about the JBL Studio 180 speakers. Their unusual looks are eye-catching and that sense of energy is really quite something. But we can’t bring ourselves to fully recommend these speakers because of their unpredictable nature. If an energetic approach is your priority, however, and you like a bit of bass, these are worth an audition.